First identified as a series of support requests, Dropbox confirmed that Apple has begun rejecting any apps which depend on the Dropbox SDK. The problem purportedly stems from both recent changes in the Dropbox SDK and Apple's exhaustive developer agreement terms. At the heart of the matter is Apple's prohibition on in-app purchases; moreover, purchases which attempt to bypass the App Store. Hoping to receive a healthy 30 percent cut of in-app revenue, Apple requires developers to delegate micro-transactions and other in-app purchases to the App Store. If developers break the regulation or try to cleverly work around it like Amazon and Sony have tried (e.g. opening Safari to purchase items outside of the app) their app can and most likely will be rejected. The terms which spell out this agreement for developers are nothing new. In fact, the terms have been in the app review agreement for well over a year now. However, Apple did make one recent change -- the company has extended this policy to include in-app subscriptions. Apps that link to external mechanisms for purchases or subscriptions to be used in the app, such as a "buy" button that goes to a web site to purchase a digital book, will be rejected. 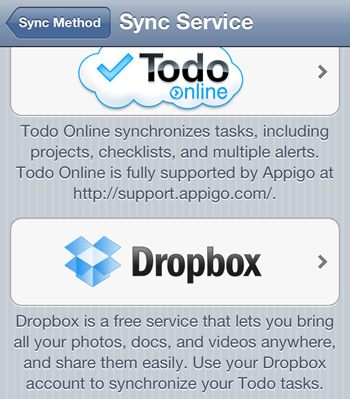 Since Dropbox offers a paid subscription service that can be purchased via apps which feature Dropbox integration, Apple began rejecting those apps. In response to Apple's heavy-handed curatorship, Dropbox has posted a new version of its SDK which removes the ability to create an account. However, the measure is intended to be temporary. Previously, developers had tried inserting a link which led to a web-based sign up via Safari, but that did not satisfy Apple's terms either. Currently, Dropbox says it is in talks with Apple in order to produce a solution which will continue to provide an "elegant user experience".